← Why Are We Not More Distressed About This Major Issue? 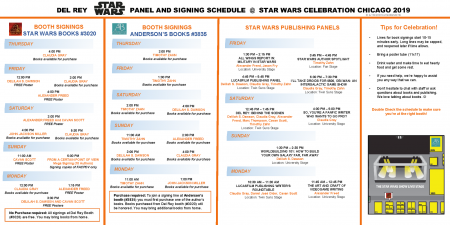 Want to know the when’s and where’s of everything Star Wars publishing for Celebration Chicago? Del Rey has released their full schedule of events. 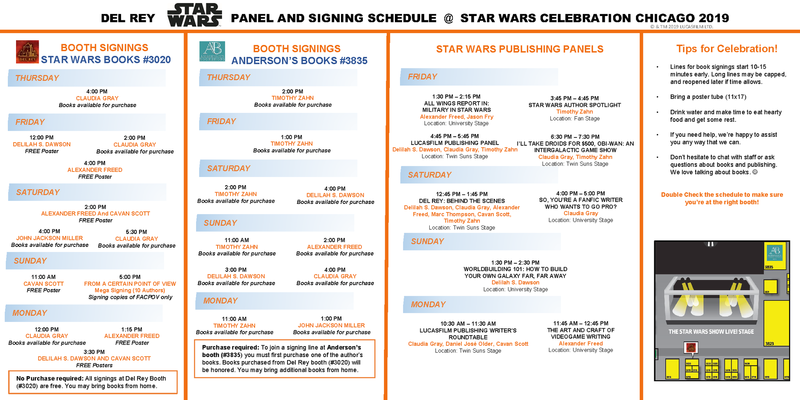 If you are packing in books to get signed, this is the information you seek! Previous Article: Why Are We Not More Distressed About This Major Issue?